Yesterday I took a personal day. What does that mean? Well, to me it means I just go and do something fun and I actively practice God’s presence. I converse with him during the day, but it’s generally not intercessory prayer. It’s more like soaking, and enjoying him as a friend. A couple times now I’ve headed off to the absurdly small town of Sugaya. It’s three train stops away, and truth be told, I don’t know how it got itself a stop. It’s that small. I first went there about a year ago. Looking for adventure, I stepped into my local train station, picked a town I’d never been to before, and bought a ticket. When I got there, I wondered if I should turn back. But I didn’t. 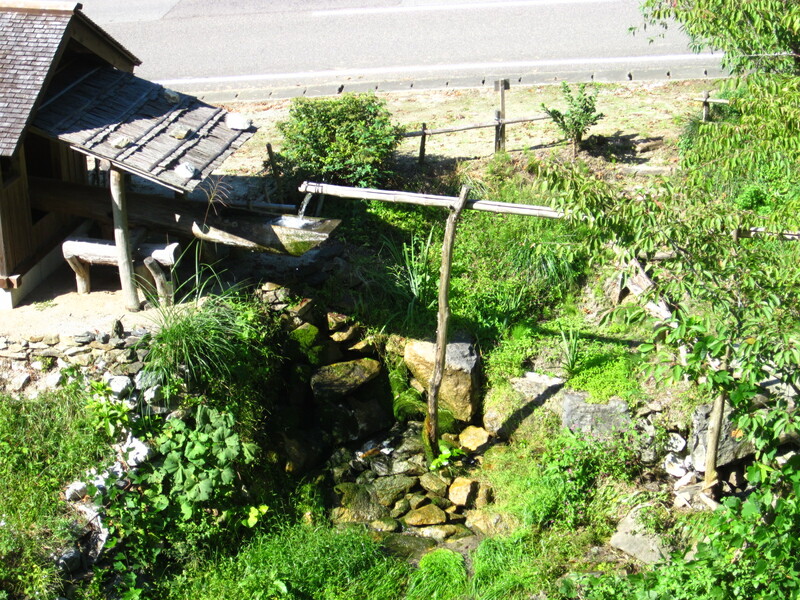 I went for a walk and explored the rice fields, the mountains, the beautiful koi pond in someone’s front yard. The second time I went was last November. I bushwhacked through the wilderness and had a marvelous time. It hasn’t been easy here recently. There have been some breakthroughs in team dynamics and spiritual fervor. But that has also led to increased spiritual warfare. I’m fighting a lot, needing to reevaluate decisions and filter absolutely everything through what is healthiest for me and my team. So off I went to Sugaya, to just be. 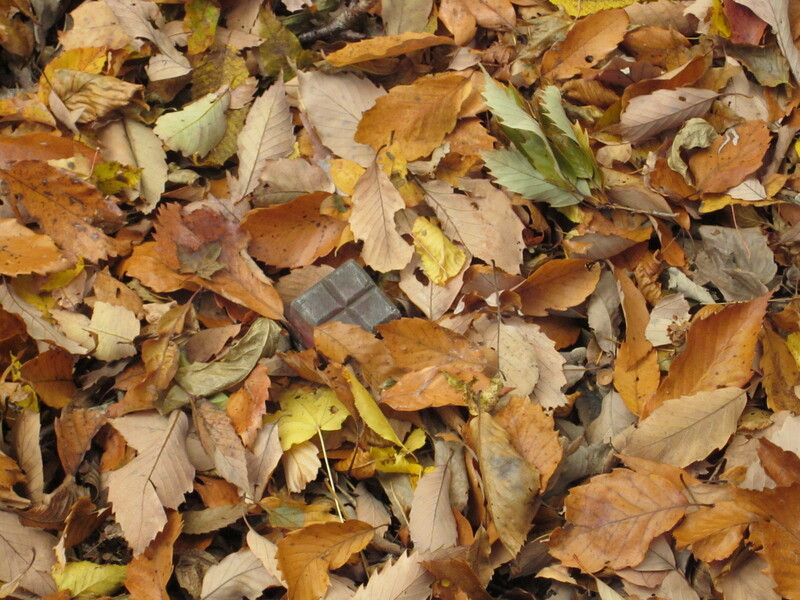 Initially, I had planned to bushwhack to the same place as last November. But something drew me off to the side. Instead I followed a road, and it led me past a sign which was, remarkably, in both Japanese and English. 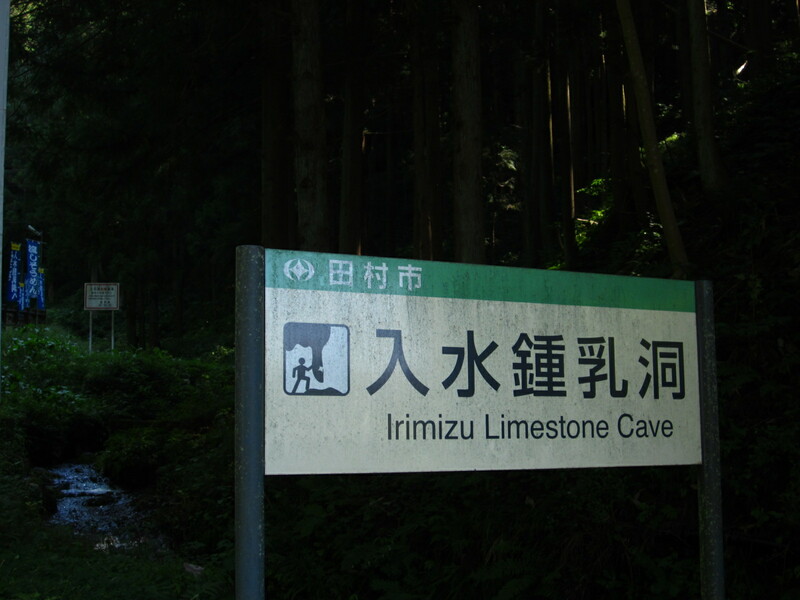 It read, “Irimizu Limestone Caves.” So there I went. 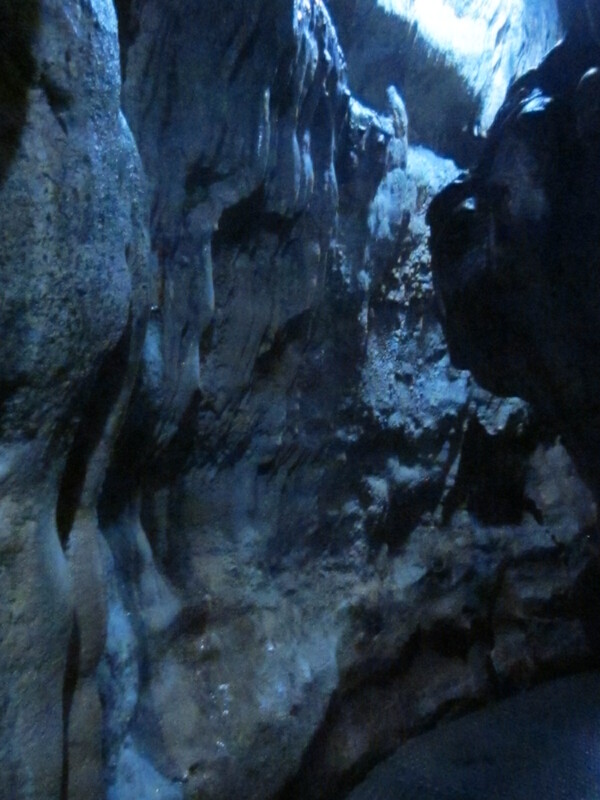 Irimizu is a limestone cave that people can enter. It costs roughly $5.50 to go into the first section and $7 to enter the second stretch. Saturday I limited my excursion to the first stretch. The second part requires a head lamp or flashlight, and I don’t want to enter that deep of a cave by myself. Just in case. Six guys came up behind me as I was looking at the sign, and I let them purchase their ticket first. If THEY take the B route, I decided, so would I. But they bought the A ticket. No matter, it was still beautiful. Really slippery, really cramped, and really adventurous, made more so by the fact that even finding this place was completely serendipitous. No one had told me about it. I just went there. It was like God and I were on an adventure, and he had led me to this incredibly special place. After I left the cave I found a desolate path that I followed up into the hills. Then I returned to the road and followed the mountain twists for awhile, at one point bushwhacking a steep shortcut. It was glorious. I diverged from the road again, following another barely there path, to eat lunch as I looked out over the valley below. Then I followed the road back to the station. 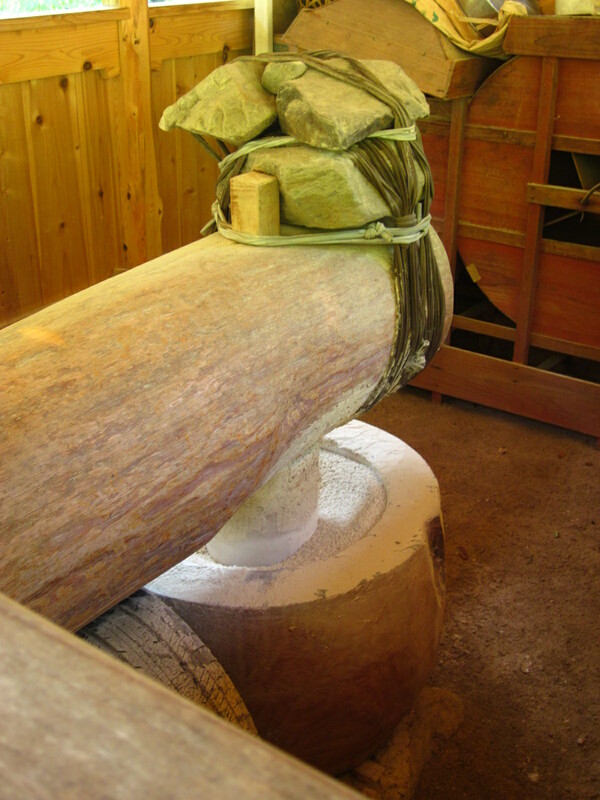 Water pouring out of the cave has been channeled by someone and used to form a simple machine. It pounds a grain, slowly, but consistently, day and night. It was awesome and reminded me of every pioneer book and old time village I have ever visited. Back at the station I realized I had an hour till the next train. So I followed a road, explored yet another path, and spent 15 minutes watching half a dozen junior highers play baseball. And then? It was time to go. I’d had a wonderful day, but I knew my legs had been sorely taxed, and it was time to leave the other adventures for another day. Up until Saturday, my favorite place in Japan was this one spot in the Gion neighborhood of Kyoto, just down from the temple, looking out over a footpath. I still love that spot. But I think my favorite has changed. 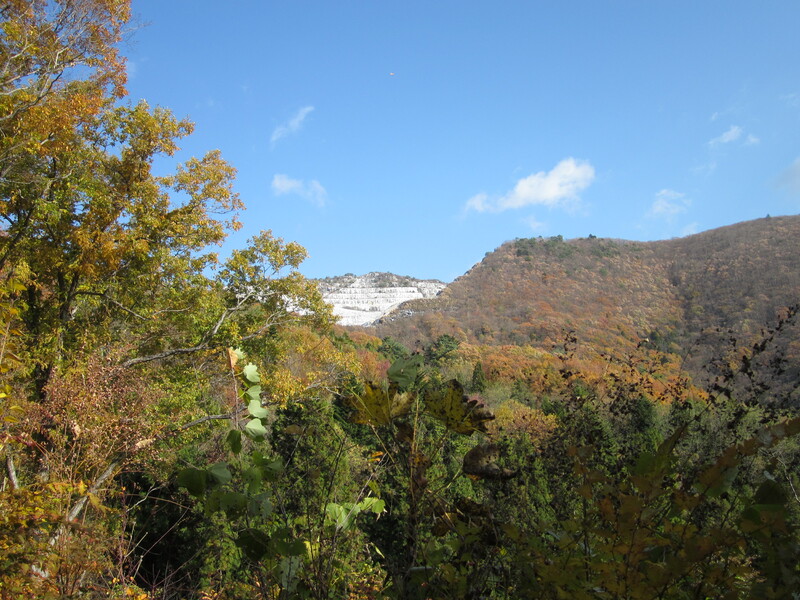 I think Sugaya is now my favorite place in Japan. God and I have had so many cool experiences there. There are so many adventures yet to have. You would look at this town and see…nothing. I look and see the place where my heart has been stirred and healed. But mostly just healed. Some day, if you come visit I will take you there, and I will try to explain how special and precious this ridiculously small town is. And you may or may not agree. But Sugaya will always hold a special place in my heart.